Not only are Guacamole Deviled Eggs much tastier than the average deviled egg, but they’re healthier, too! Using minimal egg yolks, these party appetizers are packed with heart healthy avocado instead. This post is sponsored by Eggland’s Best, but as usual, all opinions are 100% my own. Thank you for supporting We are not Martha! If you’re like me, any time you hear someone say, “guac is extra,” you don’t even hesitate before responding, “cool, I’ll take it anyway.” Because, in my mind, there is no price too high for a bowl of fresh guacamole. Or even one of those little plastic containers full of guacamole that they give you when you order a burrito. And then I’d be all, “you’re right guac is extra if by extra you mean that it’s totally over the top and excessive and the most amazing ever.” Because I’m pretty sure teenagers have given the word “extra” a totally new meaning these days (luckily, I’m still semi-cool enough to keep up with the new lingo). Anyway, when it comes to deviled eggs, guacamole makes them extra healthy. In honor of National Family Meals Month™ in September, Eggland’s Best has teamed up with the American Health Association to help educate families on the importance of spending time together and eating healthy and nutritious meals. 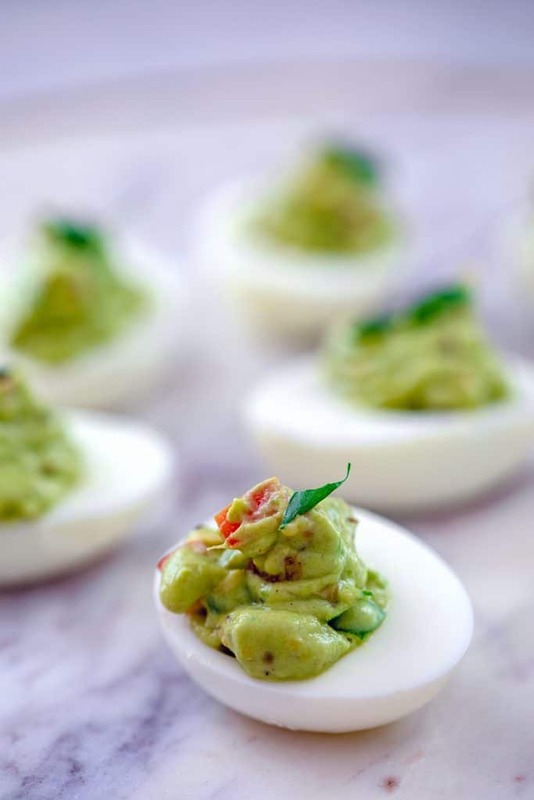 They’re also sharing some Healthy for Good recipes, like this one for guacamole deviled eggs. In this recipe, most of the egg yolks are replaced by guacamole, which makes them healthier than your average deviled eggs! 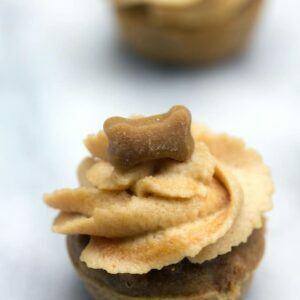 And if you ask me, the best meals are meals that start with a fun little appetizer. I’ve probably told you about Eggland’s Best Eggs no fewer than 50 times on this blog, but in case you’re new here, you need to know that they’re THE BEST! 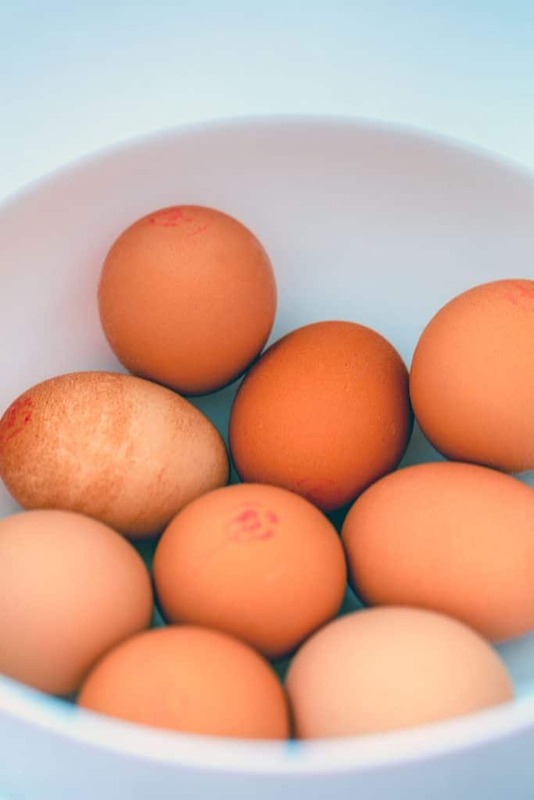 Not only are they an excellent source of vitamins D, B12, E, B5 and riboflavin, but EB eggs also have six times more vitamin D, more than double the Omega-3s, 10 times more vitamin E, and 25% less saturated fat than ordinary eggs. Independent testing has also confirmed that Eggland’s Best eggs stay fresher longer than ordinary eggs. I legit can’t bring myself to buy any other egg at the grocery store. You can see all of their benefits here. Research shows that family meals can greatly benefit the health and wellbeing of children (and I believe, EVERYONE), but the average family only spends 12 minutes together at the table during mealtime.You can sign up here to take the Family Meals Pledge and commit to spending an additional “dozen” minutes together around the table with your loved ones. You can also win prizes, like $5,000 toward a family vacation! Onto the recipe! It’s an easy one and perfect for making as a party appetizer or simply for starting off your family meals with. I also love deviled eggs as a snack and sometimes grab one for breakfast if I have leftovers in the fridge. Start by hard-boiling the eggs. Once your eggs are cool enough to touch, peel them, halve them, and scoop out the yolks. 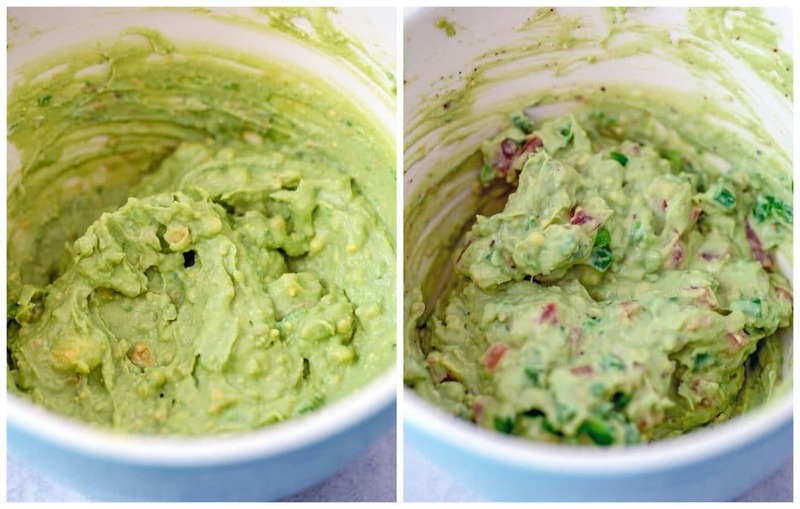 Put two of the yolks in a bowl and whip up your guacamole! This one is made with tomatoes, jalapeño (optional if you don’t like heat! ), lime juice, scallions, and a little bit of fat free sour cream. Oh, and just those two egg yolks (for nine total eggs). Fill each egg half with the guacamole mixture… I put my guac in a plastic bag, cut off the corner and squeezed the guac into the eggs. Then I topped with a little bit of cilantro. And dinner was off to a really good start! 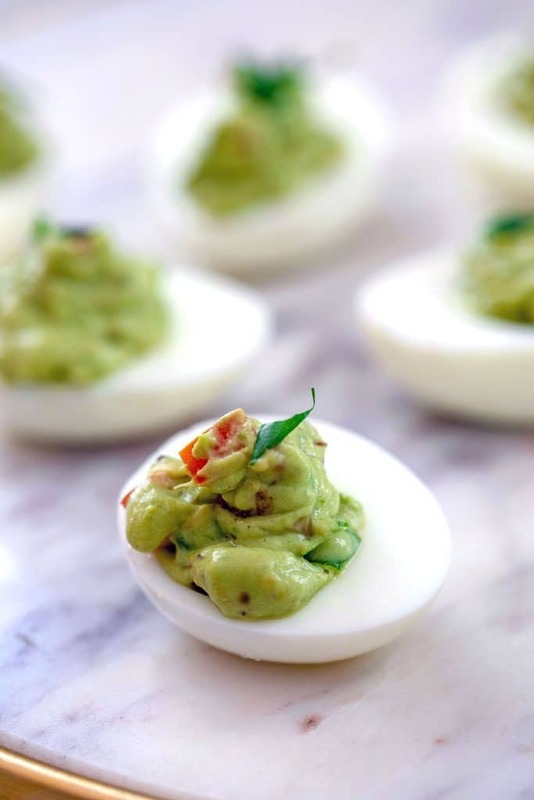 Don’t you think if you placed a platter of these guacamole deviled eggs on the table, you could much more easily convince your family to come sit down? When I was a kid, we had family dinner every single night (unless one of us was off at an activity) and these days, my husband and I definitely eat dinner together every night when we’re home. It’s a great excuse to just sit together and catch up on life. 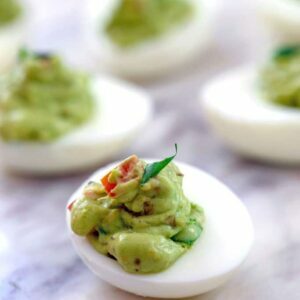 Annnd enjoy delicious and heart healthy food like guacamole deviled eggs. Though I suppose these aren’t so healthy if you end up eating an entire platter of them. I promise I’m trying to practice self-control! But sometimes it’s hard when I’m around guacamole… And eggs. So, I remove these from the table and pop the leftovers in the fridge before serving the rest of the healthy meal. Are you with me that guacamole is extra delicious? Make these guacamole deviled eggs for a gathering with friends or make them as a way to kick off your family dinner… Just make sure you’re making them to share! And then sit down with loved ones and enjoy good food and good conversation. In the meantime, don’t forget to sign the Family Meals Pledge if you’re on board and check out the American Heart Association’s Healthy for Good Facebook page! Do you try to eat healthy dinners with your family? If you’re looking for more avocado recipes, check out this grilled guacamole with cherries and habaneros or this avocado spinach egg salad. 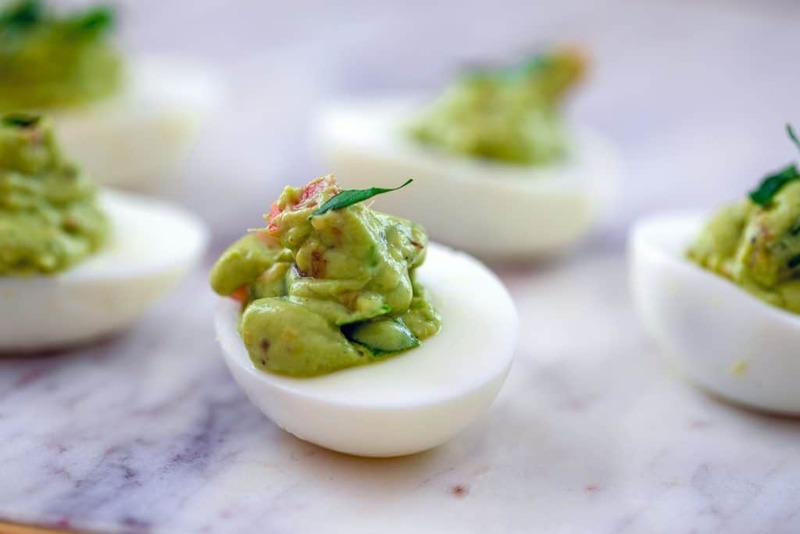 Not only are Guacamole Deviled Eggs much tastier than the average deviled egg, but they're healthier, too! 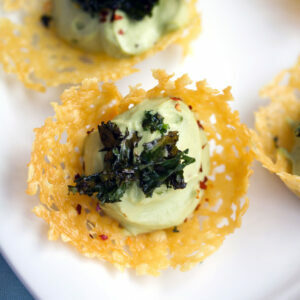 Using minimal egg yolks, these party appetizers are packed with heart healthy avocado instead. Make the hard-boiled eggs: Fill a large pot with water, add all the eggs, and bring mixture to a boil over high heat. As soon as the water begins to boil, cover with a lid, remove pot from the heat, and let eggs sit for 10 minutes. Drain water and transfer eggs to a bowl of cold water to cool. When the eggs are cool enough to handle, remove the shells. Slice each egg in half lengthwise. Remove the yolks, adding just 2 whole egg yolks into a medium bowl and discarding the remaining 7 egg yolks. Place the egg white halves onto a platter. Slice the avocado in half and remove the pit. Use a spoon to scoop the avocado’s flesh into a bowl. Use a fork to mash the egg yolks and the avocado together. Stir in the sour cream and lime juice. Remove the seeds from the tomatoes with a spoon and discard; finely chop the tomato, along with finely chopping the scallions. Add both to the mashed avocado, along with salt, pepper, and optional jalapeno. Stir together to combine. Spoon the guacamole into each egg white half, dividing the mixture between all 18. 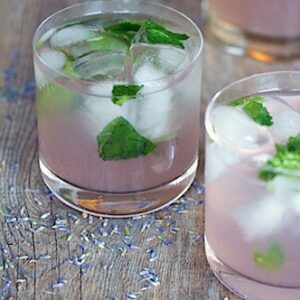 Garnish with a sprinkle of dried or fresh chopped cilantro, if desired. Serve. 2 Responses to "Guacamole Deviled Eggs"
I’ve been dying to try making deviled eggs with avocados. 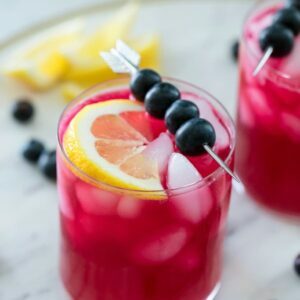 These look soooo super tasty. BRING ON THE AVOCADO! These guac deviled eggs are just what I need! Such a fantastic appetizer!